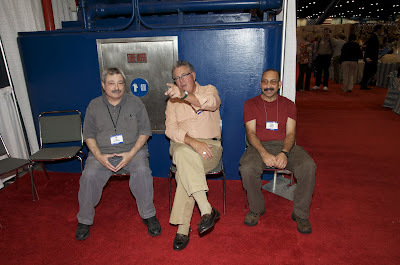 Meet a few of our neighbors from Quilt Market. Of course, Gene (the man behind the camera) caught her talking about moda fabrics, of course. 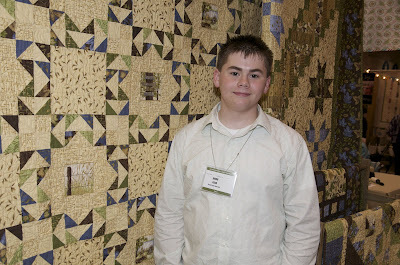 Meet some of our neighbors at Quilt market.Doug Leko of Antler Quilt Designs. Thank you Doug and Gene the cameraman! 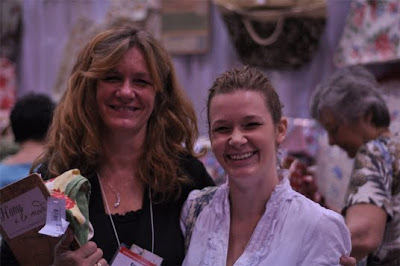 Big Smiles were certainly abundant at the Chicago Quilt Show. If you are looking for a fantastic project, this would have been just one of the booths to have visited. My friend, Gerri Robinson and her sister, Jean from Planted Seeds Designs were filled to the brim with kits and patterns. 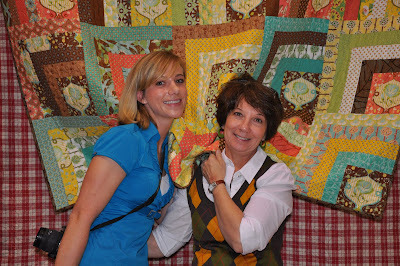 They were joined by Beth Hayes, editor of McCall’s Quilting. Once again, great people make a great industry. 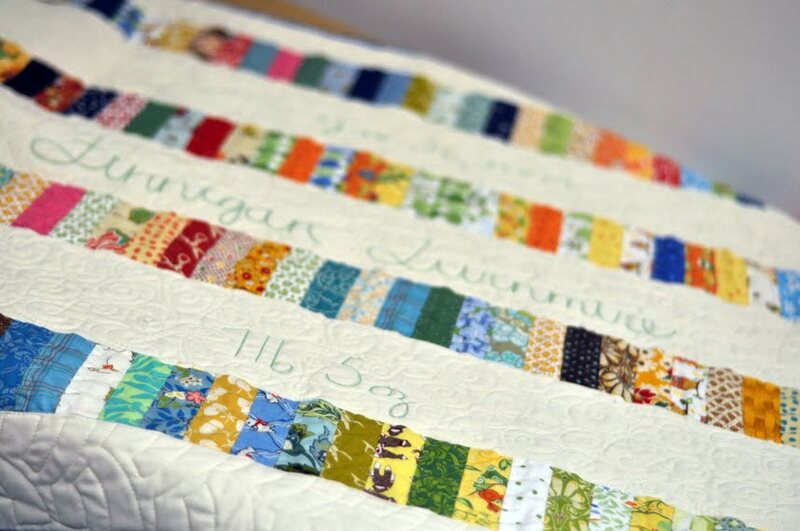 This quilt was one of those times when I thought, “Why didn’t I think of that?” Brilliant and charming! I saw the back of the quilt first. Walked around the corner and was blown away by the front of the postcard quilt. Can you just imagine a mail man walking up to the house to deliver this? Love it! 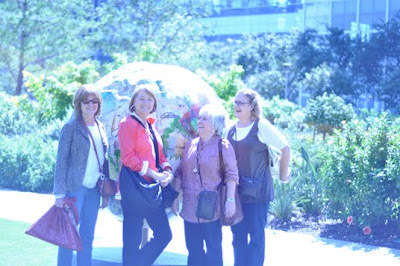 It was a beautiful day to walk in the sunshine and take in the sites in and around Millennium Park. 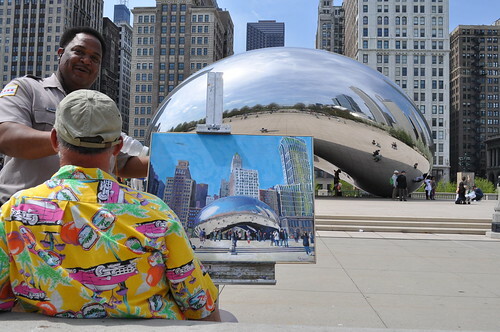 Cloud Gate is British artist Anish Kapoor’s first public outdoor work installed in the United States. The 110-ton elliptical sculpture is forged of a seamless series of highly polished stainless steel plates, which reflect the city’s famous skyline and the clouds above. A 12-foot-high arch provides a “gate” to the concave chamber beneath the sculpture, inviting visitors to touch its mirror-like surface and see their image reflected back from a variety of perspectives. Every time I look back at pictures of quilts from each of the shows, I wonder what attracts me to the quilts I photograph. I realize they are either art quilts or antique applique quilts. These are the 2 styles of quilts I will probably never own. 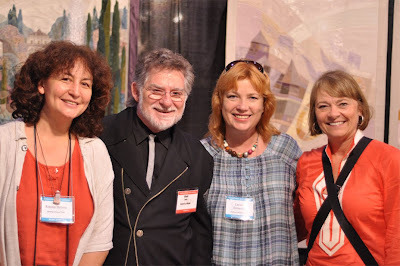 I do not see how the art quilters create the incredible art. It is in my head, but I do not have the talent or skills to transfer the vision to cloth.I know the reason why I take pictures of applique quilts is because I just do not sit still long enough to make one of those. Here are the pics from this show. Over and Out! 1 month until Market. Yowser! Now that Friday the 13th has come and gone, I want to talk about the upcoming holidays. When the kids were little, we all gathered to watch Charlie Brown’s Christmas. Ya, I know kind of lame for teenagers but my husband still insists. Sometime between Halloween and Thanksgiving I offer to cook (of course nothing entices grown boys to come see mama like a home cooked meal)and we all watch Pay it Forward. This movie is NOT for the little ones but it’s meaning is. If you have not seen this movie, here is some of the info from the web. for the better. Unlike other kids, he succeeded. Sometimes the simplest idea can make the biggest difference. This brings me to Quilter’s!! YES! Who better pays it forward? 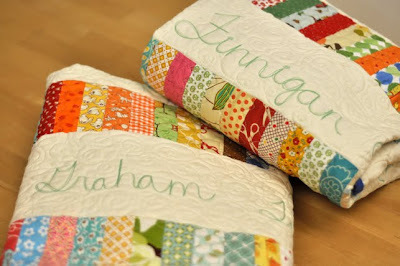 Quilter’s are the best people in the world, Right? Any disagreements ? Just look at how quick Cherri House was to respond to the injured soldier’s at Ft. Hood. Quilter’s quickly jumped on board making and sending quilts. This is my favorite book of the season, Quilt for Peace. The message is wonderful. The author, Katherine Bell has great projects and wonderful charities to make and sew for. This pretty much sums up a quilter’s heart and spirit. What about Camille and the Kimberly at Fat Quarter Shop? Both of these people realized the power of “The Quilt” by raffling a quilt with all the money going to this sweet family. A MILLION PILLOWCASE CHALLENGE. Does a million sound like a lot? It does if you are talking $$, but did you know there are over 800,000 kids in foster care in America? Let’s get a pillow case in each of their hands! How are you going to Pay it Forward? 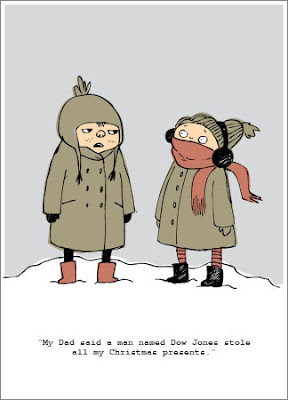 The holidays are upon us and it is probably best not to send out cards such as these. I am working now on Moda’s Christmas collections for 2010 so just in case I am snowed under,(Ha! Ha!) I am wishing you a Happy Holiday now a reminder that it is not to late to finish up those new year’s resolutions from 2009! Seems like everyone I know is having twins. This is my fourth set of twin quilts in the past year! All BOYS!! I am kind of liking making 2 at the same time. Deb Strain is the proud grandma of 2 little boys, Graham and Finnegan. 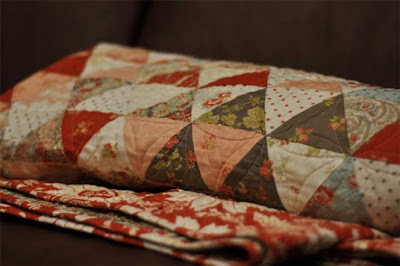 I won’t post a tutorial on COIN QUILTS, because there are lots of good ones already out there. What I will post is my tip on being ready. Any of my leftover strips I keep adding to a running length of “Coins”. 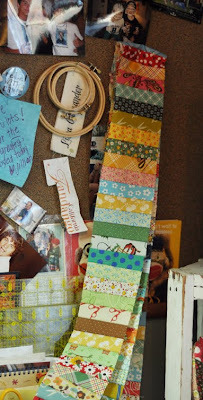 I have a couple of different ones hanging on my bulletin board and add to them constantly. I make good use of some of the fabrics I may have thrown in the trash. Instead I just keep adding them to the strips. I keep a bright fun kid one going along with what some may call a dark and dingy one. I am ready at a minutes notice. All I have to do is choose the color of fabric to go in between my rows and how long I want to make the project. The area in between is the perfect place to quilt the names, date of birth etc. 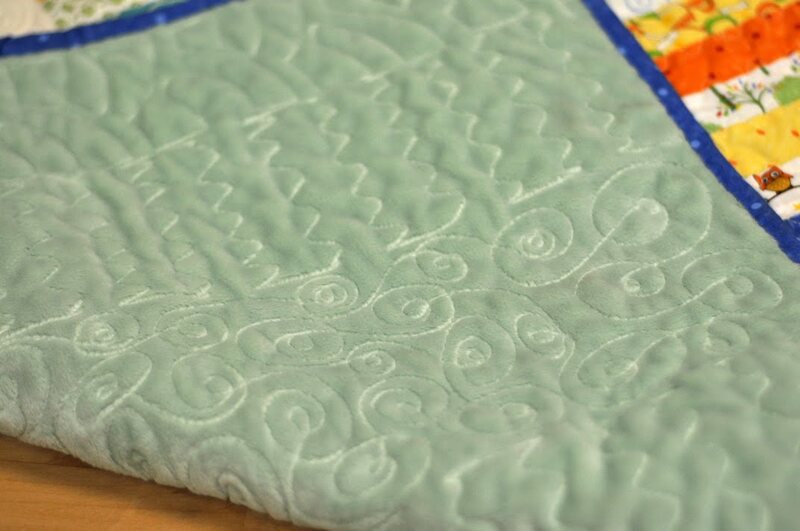 I tell my quilter Maggie that I am just lazy and do not want to make a label so she is so kind to quilt it in for me. Maggie also isn’t afraid to quilt with the moda snuggles. Makes a great backing! 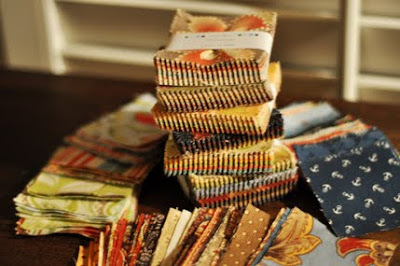 Kuddos to all you quilters out there for spreading the love!! Covering the world one quilt at a time! I am back from Quilt Market and a day of Festival. Wow! What a great time! Everyone I met was such a delight! 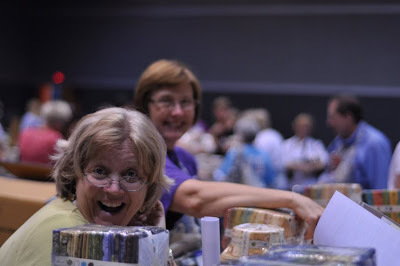 Lots of shopping, visiting and fellowship amongst the quilters! magazine is picking it up for a future publication! Yeah! Due to the power of the Internet and social medias, the saying is quickly turning to 3 degrees of separation. Knowing someone is not actually ever meeting them in person, right?! 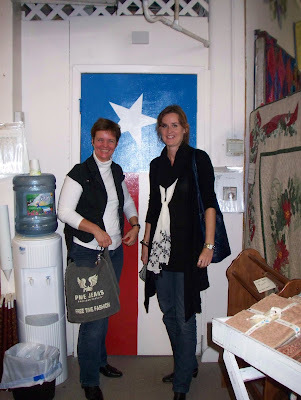 in front of the Texas flag door! Karen and Rachel from Home ala Mode were busy having a great time at their first booth at Festival! Did you know there were moda home items? Apparently there were alot of people that didn’t and their booth was swarmed by anxious buyers. Crazy busy having fun! I have had the pleasure of meeting Larisa and Rimma about a year ago, but was excited to see them again. 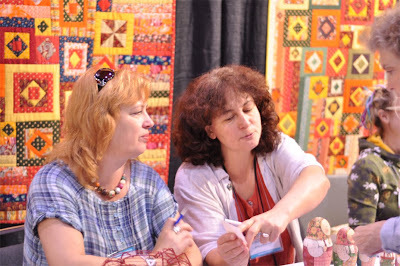 Larissa and Rimma along with several other Russian quilter’s put on a wonderful exhibit at Quilt Festival. This still applies to my 3 degrees theory because I did meet other friends of theirs from Russia. Beautiful exhibit. Great job! Read all about the Festival going Global. I could go on and on about this young man. He is actually standing in front of the quilt he made for us. He is amazing! Remember his name because you will seeing it often in the future. Also I have to mention his mother, Elaine. Good job, ma’am. 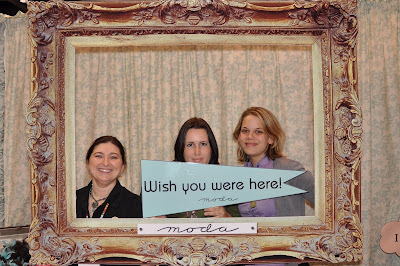 3 of the authors from the Moda Bake Shop came with their quilt shop. Lauren & Jessi Jung standing in front of their introductory collection, Botany. Make new friends but the keep the old. I had to snap a picture of some of the moda crew enjoying a beautiful day at Festival. and for my random picture…….. Pep , Bruce and Hassen to watch all the activity.